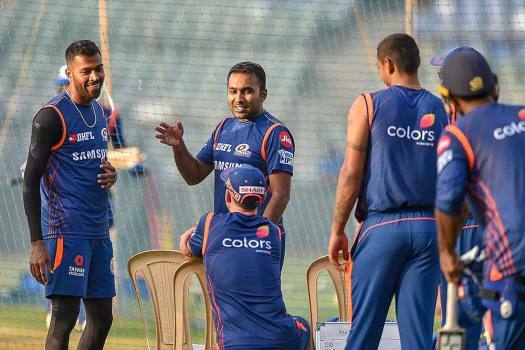 Mumbai Indians player Hardik Pandya and coach Mahela Jayavardene during a practice session ahead of an IPL cricket match in Mumbai. 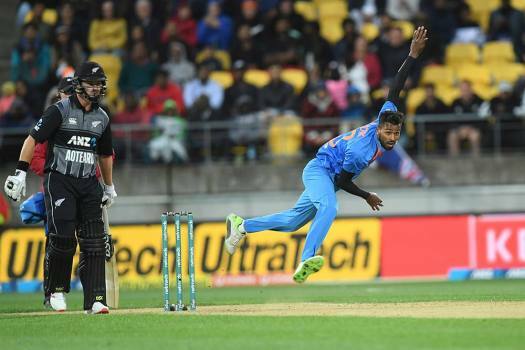 India's Hardik Pandya, right, bowls past New Zealand's Tim Seifert during the Twenty20 cricket international between New Zealand and India in Wellington, New Zealand. 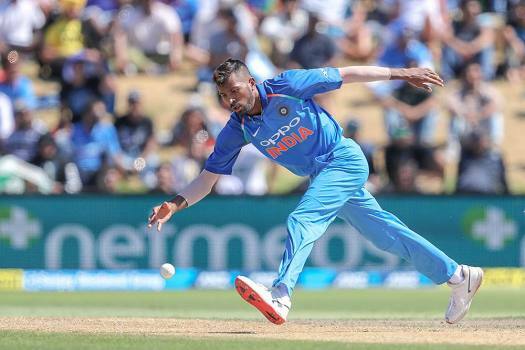 India's Hardik Pandya plays during the third one day international between India and New Zealand at Bay Oval in Tauranga, New Zealand. 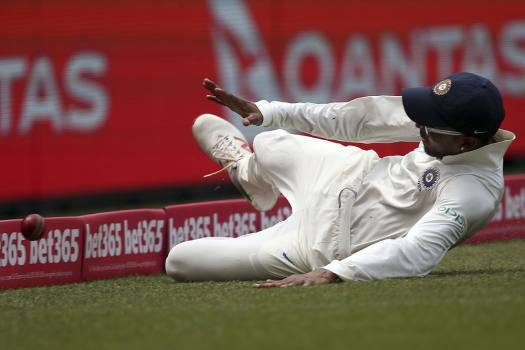 India's Hardik Pandya slides into the boundary rope while attempt to field against Australia on day 3 of their cricket test match in Sydney. 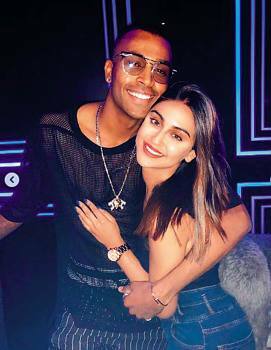 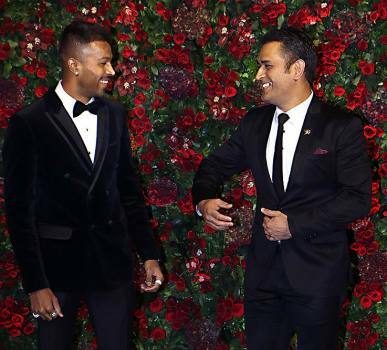 Cricketers Mahendra Singh Dhoni (R) and Hardik Pandya during the wedding reception of actors Ranveer Singh and Deepika Padukone in Mumbai. 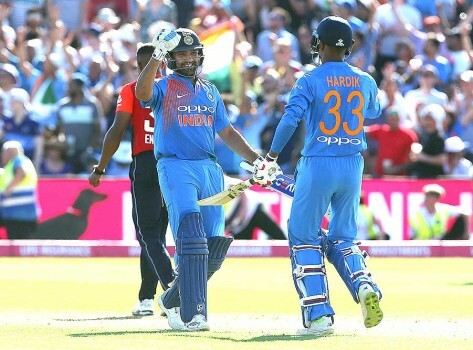 India's Rohit Sharma and Hardik Pandya celebrate after their team won the 3rd IT20 Series cricket match between England and India, at the Brightside Ground, in Bristol, England. 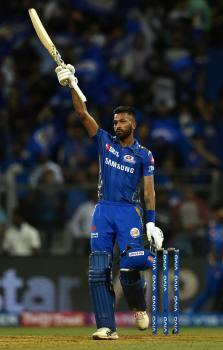 Rajasthan Royals who managed to get the better of Mumbai in Wankhede will be hoping to repeat the same in Jaipur. 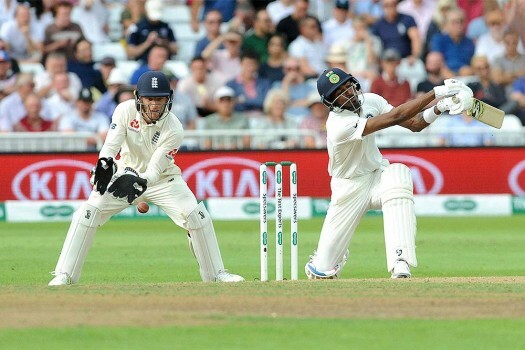 Rajasthan will have to win most of their remaining games to make it to the play-offs stage. 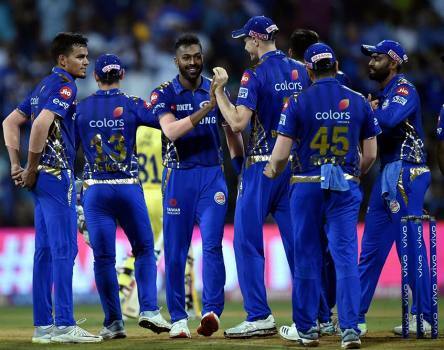 Mumbai Indians will be eager to continue their winning run in the IPL, as they take on Delhi Capitals, who are riding high on confidence after their recent performances in the tournament. 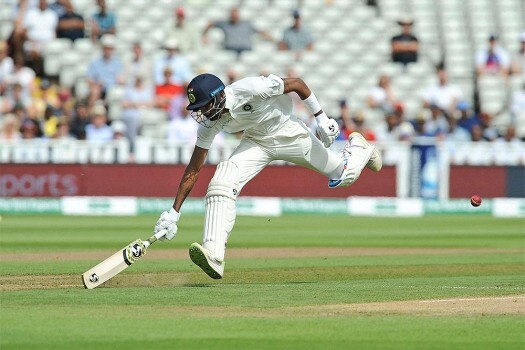 The onus will also be on the type of wicket, Kotla has to offer. 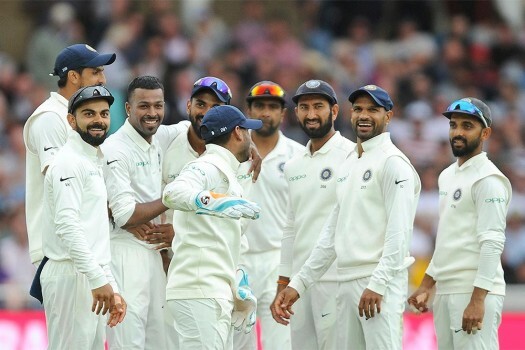 Ashish Nehra joined Royal Challengers Bangalore as their bowling coach in January 2018. 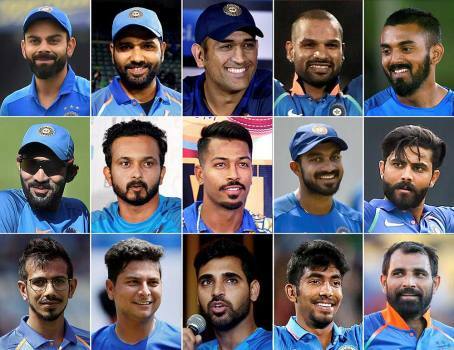 India's national selectors named a 15-member squad for the Cricket World Cup 2019. 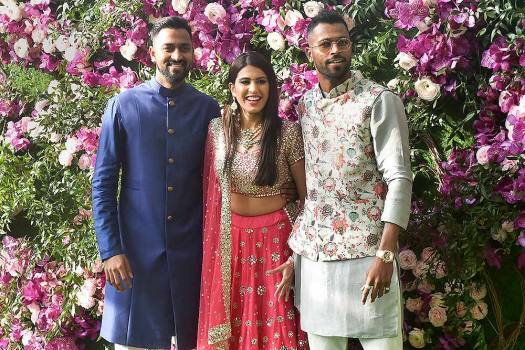 Vijay Shankar, Dinesh Karthik got the better of Ambati Rayudu and Rishabh Pant. 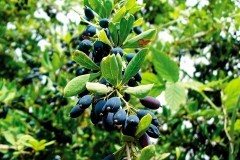 The May 30 to July 14 showpiece will be held in England and Wales. 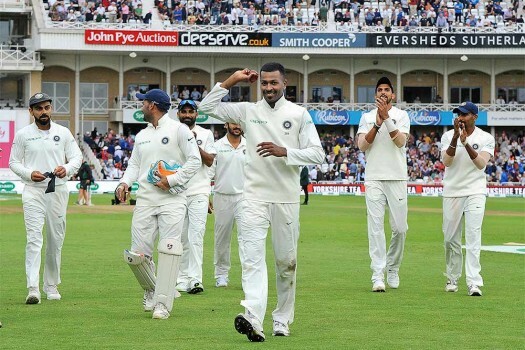 The arrival of Dale Steyn will boost the RCB camp and their maiden win in this season in their previous match should aid the team in putting up more promising performances. 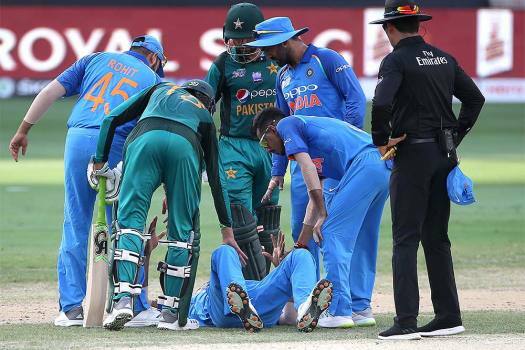 RCB will have to win almost all of their remaining matches to make it to the next stage of the tournament. 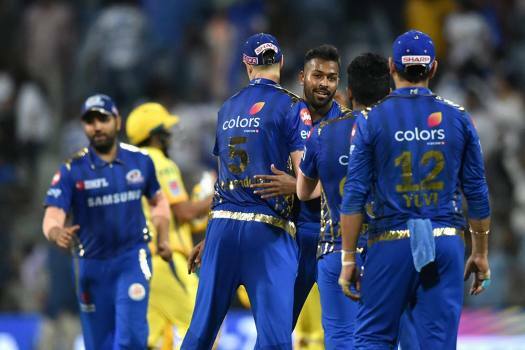 IPL 2019, MI Vs RR Preview: Will Mumbai Continue Their Winning Streak? 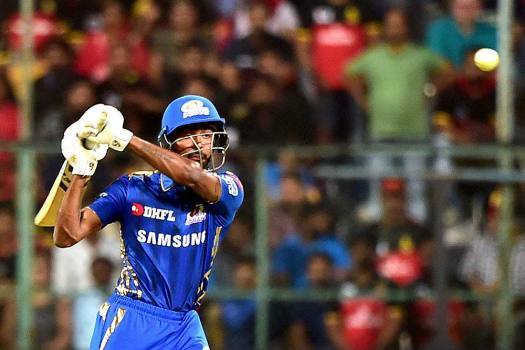 Mumbai Indians have won their previous three games and will be eager to fend off an out-of-sorts Rajasthan. 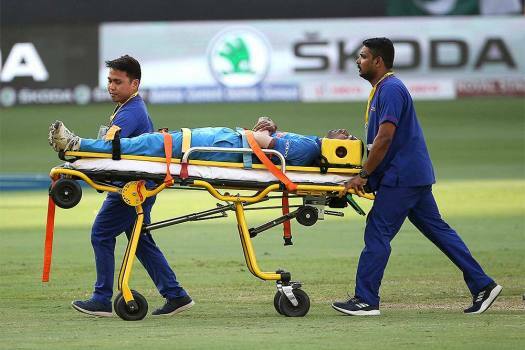 It is to be seen if Rohit Sharma who missed Mumbai's last game will be available. 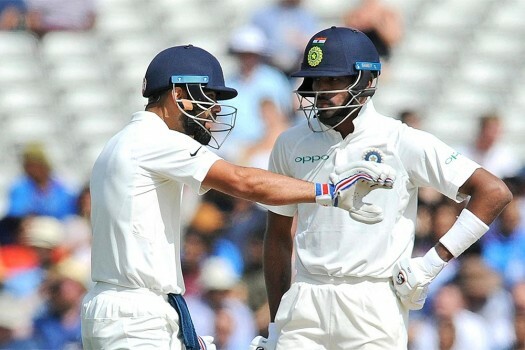 India’s pace pack—the most lethal in the world—has the ability to demolish the best batting fastnesses.